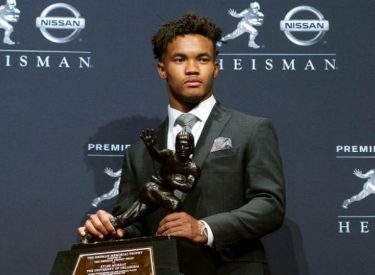 NORMAN, Okla. (AP) – Newly minted Heisman Trophy winner Kyler Murray is apologizing for anti-gay tweets posted to his Twitter account several years ago, when he was 14 and 15. The Oklahoma quarterback says he didn’t intend to single out any individual or group. The tweets have since been deleted from the Twitter account of the 21-year-old junior from the Dallas suburbs.